The first-term Democratic congressman, diagnosed with pancreatic cancer last October, died Wednesday at age 49. Mark Takai, a Democrat from Hawaii serving his first term in the U.S. House of Representatives, has passed away. 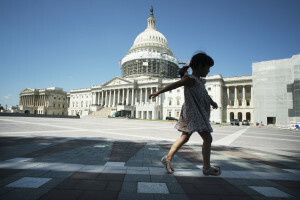 His office confirmed the congressman’s death Wednesday in Honolulu. He was 49. Takai had already announced he would not seek re-election. Former Congresswoman Colleen Hanabusa is among the candidates running to fill his seat. Congressman Mark Takai in Civil Beat’s offices earlier this year. 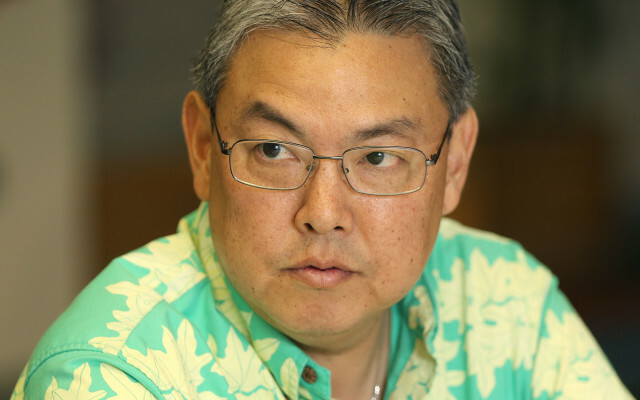 Takai is fondly remembered by many, including top elected officials. Takai, who served 20 years in the state House of Representatives before his election to urban Oahu’s 1st Congressional District in 2014, was diagnosed with pancreatic cancer last October. He launched a re-election campaign earlier this year but announced in May that his cancer had spread and so dropped out of the race. As a state legislator, Takai’s focus was on public education. He also was responsible for legislation that created the Hawaii Medal of Honor to recognize fallen island troops and their families. In Washington, D.C., education continued to be a priority, but so too did national security — he was especially concerned about defense against North Korea — veterans’ issue and small business. Takai served as a member of the House Committee on Armed Services. He was a lieutenant colonel in the Hawaii Army National Guard and took part in Operation Iraqi Freedom, serving in Kuwait in 2009. 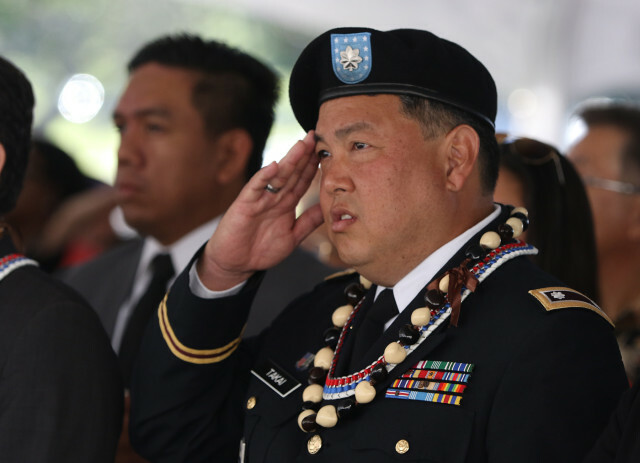 Rep. Takai during services at the National Cemetery of the Pacific, Memorial Day 2015. Takai’s death is particularly hard felt by other members of Hawaii’s congressional delegation. Former colleagues here at home also offered praise for the late lawmaker. As news of Takai’s passing spread quickly, condolences from his congressional colleagues soon poured out on Twitter, The Washington Post reported. An Episcopalian, Takai lived in Aiea on Oahu. He is survived by his wife, Sami, and two children, Matthew and Kaila. Takai was born July 1, 1967 in Honolulu and graduated from Pearl City High School in 1985. He earned a bachelor’s degree in 1990 and a master’s degree in 1993, both from the University of Hawaii Manoa. Takai swam for the school throughout his undergrad years and was a strong supporter of UH athletics — support that continued after he was elected to office. He also served as student body president and was editor of the student newspaper, Ka Leo O Hawaii. It was while at UH that Takai’s passion for politics gelled. But he also cared for his fellow service members and their needs, especially those who later fell on hard times such as homelessness. Hawaii Chief Justice Mark Recktenwald noted that Takai was “a strong supporter” of the Hawaii State Judiciary’s Veterans Treatment Court and its outreach efforts. “He went out of his way to consistently recognize and encourage the participants, team members, and mentors involved in this program,” Recktenwald said.